So the folks at iFixit travelled all the way to Australia to get their hands on the brand new and shiny gadget that is the Apple Watch. Australians were the first few lucky folks who received their Apple Watch pre-orders on time making the iFixit team take this journey too. This has resulted in a beautiful Apple Watch teardown which is happening live as of right now. Here are the details! 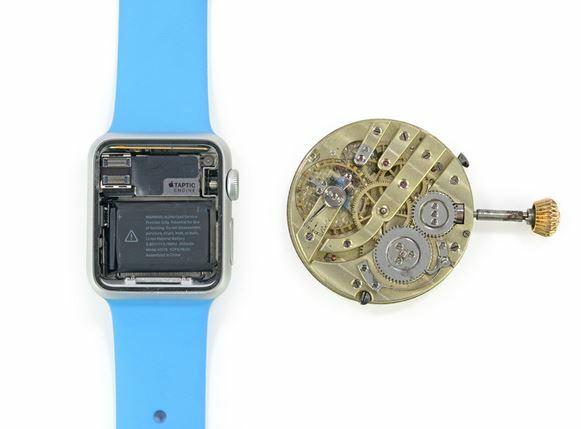 Apple Watch teardown takes you on a watchmaking tour! If you have already pre-ordered, there’s a good chance that your Apple Watch will be on its way to your address. However, if you are seeing the “pending” in the status of your order, you have a long time to wait for your Watch to get on your wrists. 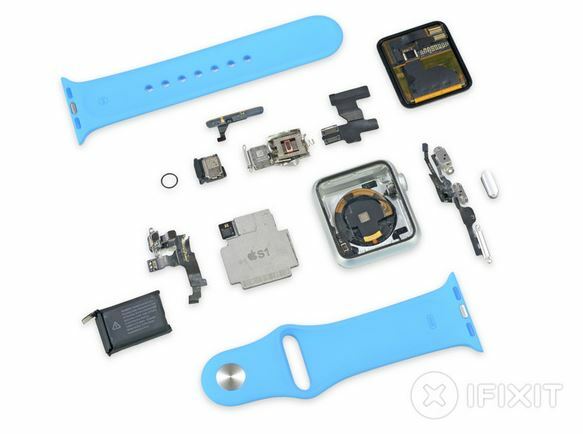 In any case, this comprehensive – and very beautiful, if we may say – iFixit Apple Watch teardown will keep you busy while you are waiting for the shipment. An Apple fan or not, you will love the engineering behind this tiny marvel of a gadget. – Water Resistance – the unsung feature of Apple Watch? As we all had expected, things fitted inside this Watch are tiny for human hands to handle properly. Which is the major reason why tearing Watch apart is proving to be a very difficult process than the usual smartphones and Macs that we are used to of seeing in such teardowns. Even with such miniscule components and tiny wiring (or lack thereof? 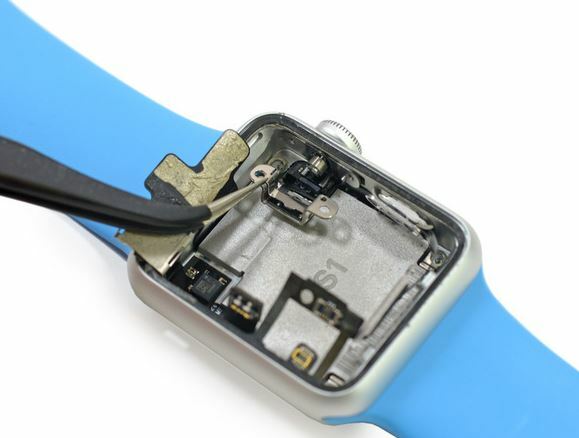 ), Apple Watch has received a decent 5 out of 10 in the repairability score. Removing the screen is difficult, but not impossible—it’s the first component out, simplifying replacement. Once you’re inside, the battery is quite easy to remove—only mild adhesive holds it in place. However, board-level repairs are near to impossible as the S1 chip (custom-designed System in Package) is completely masked by plastic with all the components soldered onto it. – You can watch the live action and more details at iFixit.